Lake Tanganyika is an African Great Lake. It is the second largest by volume, and the second deepest. It is the world's longest freshwater lake. Nestled amongst lush tropical vegetation opening onto its own exclusive private beach, Ndole Bay Lodge offers guests a remarkable African experience on the shores of a unique lake. It has deluxe beachfront suites through to a shaded campsite. 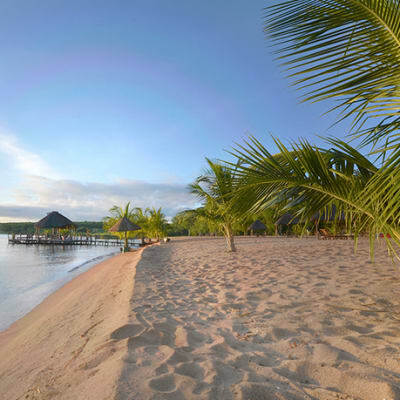 Ndole Bay Lodge is built on a forested slope ending at the waterfront. Activities include full or half day fishing trips, sunset cruises, wildlife scenic tours in Nsumbu National Park as well as walks (seasonal), scuba diving, snorkel trips and other water sports such as tubing and skiing.